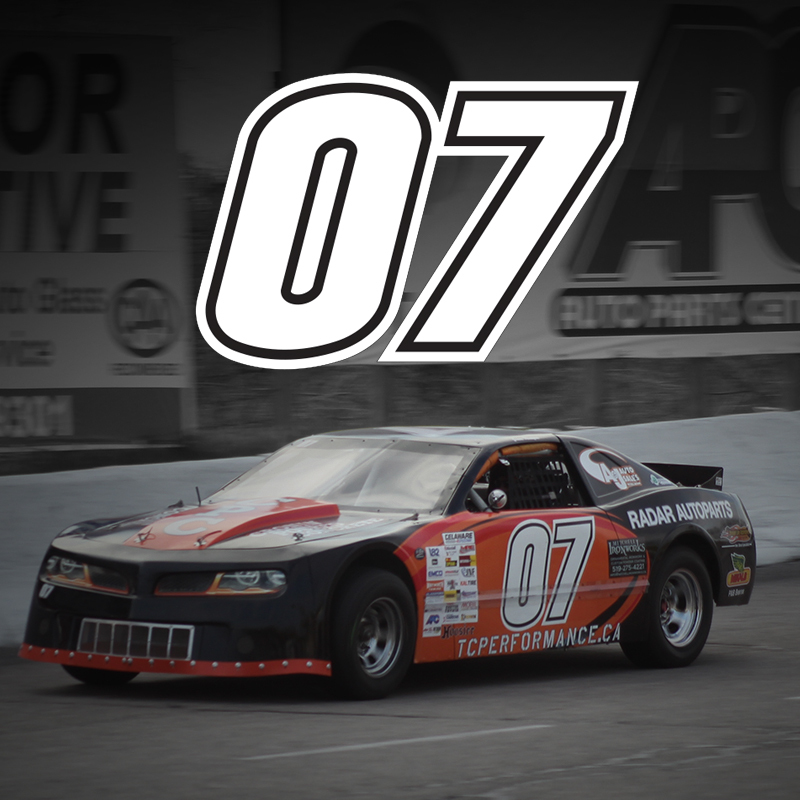 The Brandy Point 07 Racing Team is based in Mitchell, Ontario and races at Delaware Speedway in the Super Stock division. 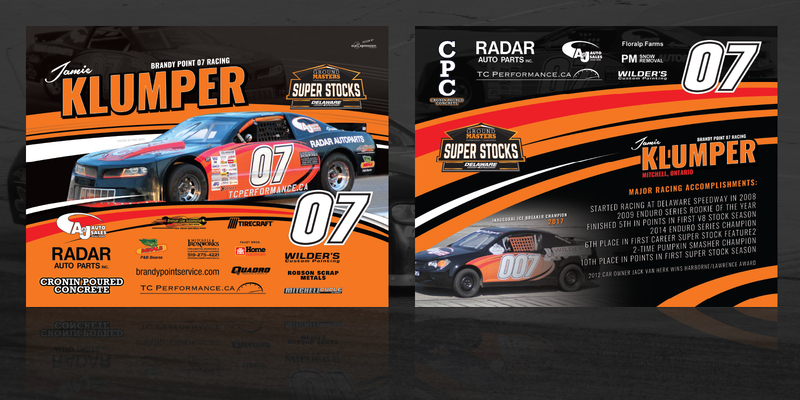 ourExpression has been fortunate enough to work with the team on hero card designs since 2015. 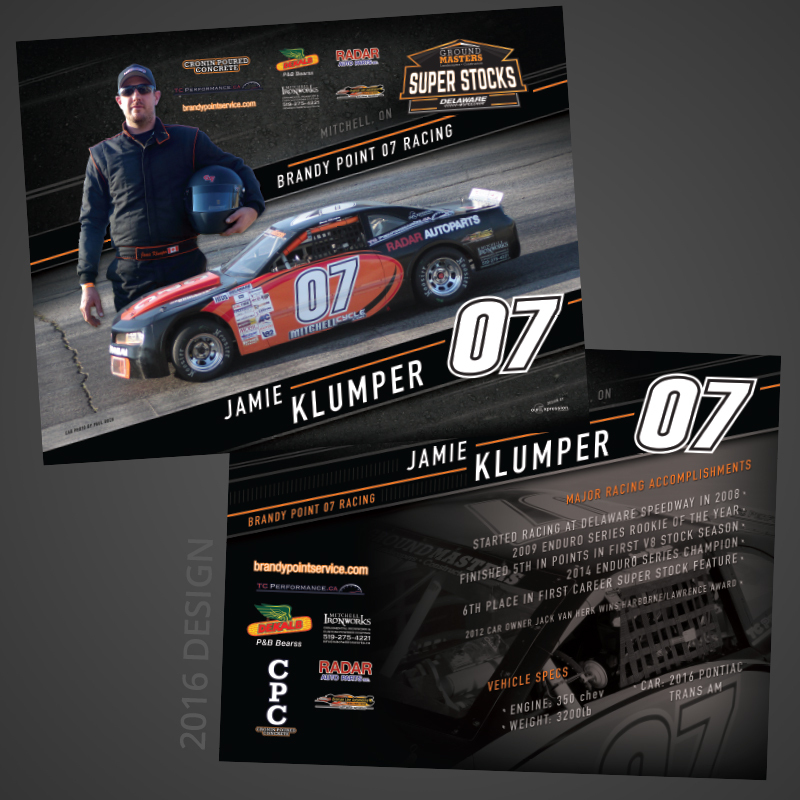 To create an autograph hero card that would attract young fans as well as sponsors. The cards needed to be designed in a way that they stood out in a pile and could be used for sponsors days, during autograph sessions, and placed at the end of the season for partners of the team. We created a hero card design that stood out from a pile with bright colours and crystal clear design. Highlighting the success of the driver and team add to the design in a natural way.